Please note that all our musicians are high level professionals. They all have a beautiful and extensive repertoire. They are able to learn and play songs on request. They can play with other musicians and singers in many different formations. 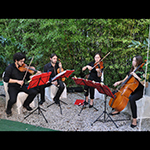 They can play as string quartet, string trio or string duo and also with other instruments and voices. They are very poupular, professional and reliable. 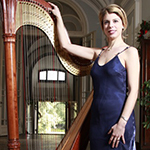 High level professional harpist available as harp solo and together with other instruments and voices. 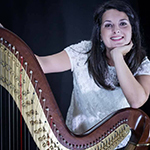 Harp and violin, trio, formations on request (see details on the harpist profile). – Preferred destinations: Tuscany provinces of Siena and Arezzo, Chianti. Umbria, Rome and Lazio. – Preferred destinations: Tuscany, Florence, Lucca, Siena, Chianti. Professional tenor and soprano with unparalleled voices available as solo singer or duo for ceremony, wedding dinner reception and (new!!) wedding surprise singing act. – Preferred destinations: Tuscany and Umbria. the most esteemed and loved band for international wedding entertainment in Italy. Just search for their reviews on google! Live music + Dj sets during the breaks music no stop. – Preferred destinations: Everywhere in Tuscany, Umbria, Rome, Lazio, Lake Garda, Lake Como. Musicians of every kind, DJs, for all the aspects of the event. Only qualified professionals.